Any survey that includes location can be presented with its results aggregated by geographical regions. The regions need to be loaded into the results database from a source file, such as a shapefile, by the system administrator. Country level regions are included by default. The same data is shown here in a table view. 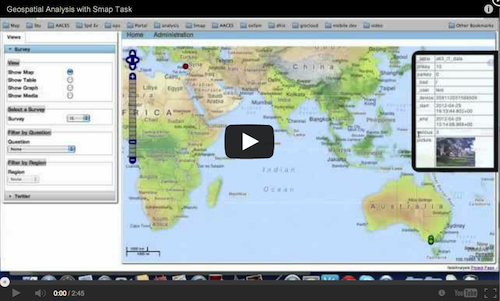 The following video demonstrates aggregation of regions in scenario based on the collection of data for an emergency response. It includes use of a custom set of regions created using QGIS. 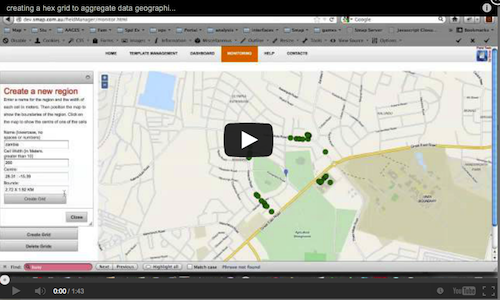 This next video shows how to create a hex grid and aggregate the data using it.